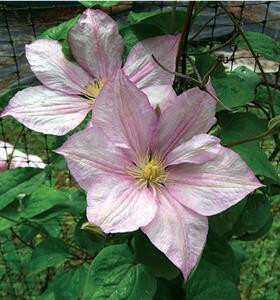 Caroline Clematis: cool, light pink color for your hot midsummer garden. Caroline's light pink brings cool relief to hot summer gardens. Like pastels? Combine her with Prince Charles.